Bubblesoccer, human bubble suit, soccer bubble, is a funny game of Zorb Ball Football Bubble, amazingly enjoyable. This event involves wearing the balls for each person fixed by seat belts and handles, then bumping each other for fun. Or we can use them in soccer game or Body Zorb Football Bumping Ball games, extremely popular in Europe, North America and Oceania worldwide etc. An opening on the head that ensures enough air for free breath. These Bubble Football UK Liverpool are available in different sizes and colours to suit various body types and preferences. 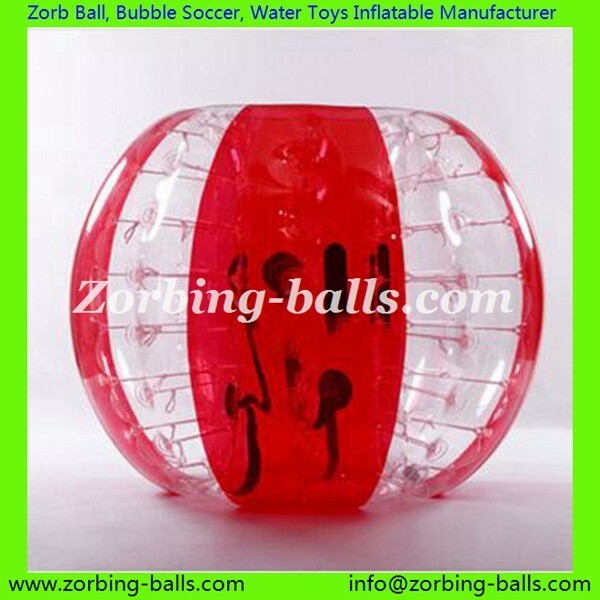 Are you planning to purchase Inflatable Human Bubble Ball Equipment and Loopy Ball Zorb Football in reliable quality and rationable price? Just get in touch with us right now. We wish to be of service for you in the near future, just enjoy the Bubble Football Suit or Zorb Soccer Games! Unit Price: US$49 - 199. Free Shipping to Australia, Europe, North America and Southeast Asia. 7) Applicable to grass land, backyard, football field games etc. Bubblesoccer - How to Place an Order with us?